Dr. Ben Talei is an industry-leading physician who specializes in natural, long-lasting facelift and necklift surgery in the Beverly Hills area. He is board certified and completed two separate fellowships in facial plastic and reconstructive surgery following completion of training at Columbia University and Cornell University. 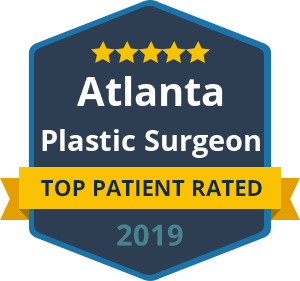 Dr. Talei, a dual board certified facial plastic surgeon can tailor face and neck plastic surgery procedures to suit your needs and reduce the signs of aging. His approach is not telling you what you need, but helping you achieve the results you want in the safest, most natural way possible. Dr. Talei’s care and empathy ensure you will have a nurtured and painless recovery. How Can I Tell a good Facelift from a bad Facelift? The most direct answer to this question is to examine multiple surgeons’ before & after photos to find the doctor who can reproducibly achieve the results you are looking for. Do not believe the myth that a subtle change produced by surgery means it will be a natural change or a significant change will make you look unnatural. Talented surgeons can achieve significant results without drawing notice from even your closest friends and relatives. When evaluating different types of facelifts and necklifts, realize that the name of the facelift typically makes no difference. Two surgeons can have very different names for the same type of surgery or the same name for drastically disparate procedures. Here are some facelift characteristics that differentiate between surgeons, and you can think about these questions when analyzing the photos. Are the incisions around the ear covered with the patient’s hair? If so, this might mean that procedure produces unsightly scarring. Is the hairline or sideburn altered? Some surgeons use techniques which cut away the natural hairline. Is the angle of the jaw improved after the operation or is it blunted in appearance? Is the cheek and face in the after picture any different than the before picture? If so, this is either due to a good deep plane facelift or fat injections. Both can produce nice results, but you have to decide if those results are what you’re looking for. Does the patient look like he/she had surgery done? Are the under eyes or tear troughs improved? If so, this may be due to a good facelift surgery or eyelid surgery combined with a facelift. Have the jowls been completely refined and straightened? Is there still any banding or drooping in the neck? Dr. Talei truly stands apart in the field of facial rejuvenation due to the amazing results achieved using the SMART lift technique (Superior Movement and Repositioning Throughout lift). which he has developed The SMART lift is a modified, extended deep plane facelifting technique designed to produce the most natural, yet the most significant results. It is one of the most advanced deep plane facelift techniques in the world, utilizing vertical vector repositioning and a comprehensive deep plane tissue release. If you closely analyze most facelift results nationwide, you will notice that there are mainly improvements in the jawline and neck, with no significant improvement in the midface or cheeks. Hence the term “facelift” can be a bit deceiving. The SMART lift technique is one of the few available, which can actually go beyond correcting just the neck and jawline. This procedure actually lightens the folds around the nose and mouth referred to as the melolabial or nasolabial folds (marionette lines). It raises the focus of the cheek from a sagging position back to where it was meant to be, augmenting cheek volume and restoring a youthful, classic heart-shape appearance to your face. Although most patients seeking a lift are in their 50’s and 60’s, we still care for many patients in their 30’s and 40’s. Even though it may not seem to be the case, the younger patients typically require a more significant lift of the midface in order to achieve beautiful results. We often recommend the SMART lift for patients undergoing what we call “The 40’s facelift,” as other less significant techniques cannot obtain adequate results. More and more in recent years, many surgeons have been adding volume to the face using fat grafting as they are unable to obtain the volume enhancement and redistribution seen with the SMART lift. Our objective is to obtain an appropriately proportioned, elegant appearing face while restoring a youthful appearance. This is without the typical stigmata associated with a facelift. Another reason this technique is preferred, is that it does not fail after 2 or 3 years like most other popular lifts do. It has proven durability for years to come. The procedure is performed through hidden minimal access incisions, leaving your natural hairline intact. It provides a rapid recovery time with a very high patient satisfaction rate. We recommend analyzing various surgeons’ results carefully to see if incisions and scars are hidden with the hair pulled over the ear and behind the ear. You will never be left with a pulled, unnatural or plastic looking face. The most common response we receive from our patients is that their friends and family (including other plastic surgeons) repeatedly comment on how refreshed and rejuvenated they look lately, yet they have no idea why. This is our goal. Dr. Talei is a specialist in what is known as revision or secondary facelifting. This includes performing a facelift or rhytidectomy procedure on a patient who has had one or more prior facelifts. These procedures are typically performed to correct the changes associated with aging over time, although sometimes they are performed to correct specific irregularities resulting from the first surgery or for problems not addressed. It is important to trust your face to a specialist who can customize the revision surgery to your needs and not be limited by a certain skill-set. Performing a revision facelift is considered to be risky by most other surgeons. However, by using a deep plane technique, Dr. Talei is able to perform revision safely while still producing incredible results. He also has a great deal of experience in caring for patients who have previously undergone cancer surgeries of the face, radiation and parotid gland excisions. His procedures can breathe new life into your face, restoring that fresh, vibrant look you want. Dr. Talei has the surgical experience and a truly artistic eye that will produce perfect results! The mini-lift is a technique developed to rejuvenate the face and neck through small, hidden incisions, which allows the patient to return to life or work in no time. Like the other facelifting techniques Dr. Talei performs, this procedure is painless. It can even be performed under local anesthetic without the use of sedation or general anesthesia if desired. This is the most preferred procedure for patients who can’t afford any downtime. Losing weight is a wonderful thing to achieve for overweight patients. Unfortunately, many of the improvements noted in health, appearance and happiness are accompanied by an apparent aging in the face due to the weight loss. Obese patients typically have rounder, fuller faces and necks which somewhat resist the signs of aging. This is because of the fullness and body provided in the deep tissues under the skin. As weight loss proceeds, the skin and deep tissues lose the support previously provided, and the skin becomes excessive. This can cause facial and neck skin to sag and have many more lines in a rapid time period. Patients often complain of having a “turkey neck” or a “droopy face” around this time. Fortunately, Dr. Talei has a great deal of experience in helping these patients restore the appropriate volume and shape to the face and neck. He will remove the excess skin and very precisely reposition the facial accents to their rightful places. Improving your lifestyle and weight is truly an amazing achievement. Dr. Talei receives great joy from helping you look the way you feel. From experience, Dr. Talei has noticed that select patients may benefit significantly from a variety of modified facelifting techniques. Patients with deep acne scarring or deep tissue scarring from other causes often benefit from a number of minimally invasive procedures he has developed to obtain great results. The classic facelift techniques performed by the majority of plastic surgeons in the country, unfortunately, do not provide long lasting results. This is especially true when dealing with acne patients. Specialists would recommend a modified or extended deep plane facelift combined with other procedures, such as fractionated CO2 laser resurfacing amongst other necessary treatments. A small subset of our younger patients notice a loss of volume or sagging of the cheeks without a change in their neck or jawline. For these patients experiencing isolated aging, the endoscopic midface lift is a wonderful option. The incisions are hidden in the hairline, producing very natural results. With newer products and techniques available, we are now able to offer a less invasive option for those patients not ready to undergo a surgical procedure. By using a variety of liquid or gel injectables (including Sculptra, Juvederm, Restylane, Perlane, Belotero, Voluma and Radiesse) we are able to achieve significant rejuvenation of the face with no downtime and no incisions. For longer lasting results, yet still avoiding surgery, fat grafting and fat transfers are also great options to enhance facial volume. Some would call this a fat grafting or stem cell facelift, given the regenerative properties noted with fat transfer. This is a wonderful procedure that can be performed in addition to a facelift or performed alone. Buccal fat extraction produces wonderful results in patients with poorly defined cheek bones and fuller cheek fat. Without any external incisions, we are able to sculpt and better define the cheek line and diminish the chubby or rounded appearance. Dr. Talei’s approach will give you a result that is personalized for your wants and needs without the added pressure of suggesting procedures you never requested. He is truly dedicated to his patients and is very passionate and proud of his work. Patient care is his number one priority, along with achieving the most natural and impressive results for your cheeks, mid-face, jawline and neck rejuvenation. Contact our facelift surgery specialists at the Beverly Hills Center for Plastic & Laser Surgery today to schedule a consultation. We look forward to hearing from you.